On 7 April 2016, Bass Coast Planning Scheme in Victoria, Australia released its cultural heritage policy. It is an interesting document and has much potential to be generically adopted to other heritage jurisdictions. Firstly, it defines a heritage places as; a place which has identified heritage value and could be a site, area, building, group of buildings, structure, monument, archaeological site, tree, garden, cultural landscape or other place of cultural significance, and its associated land and setting. • Displaying a variety of historically or aesthetically related and/or important buildings across a broad range of styles which are substantially visually intact or where altered, the alterations are reversible. ‘Having individual significance, irrespective of the fact that they are contained within a conservation area. Such places provide evidence of the historical, agricultural and social development of the municipality, sometimes on a regional level. 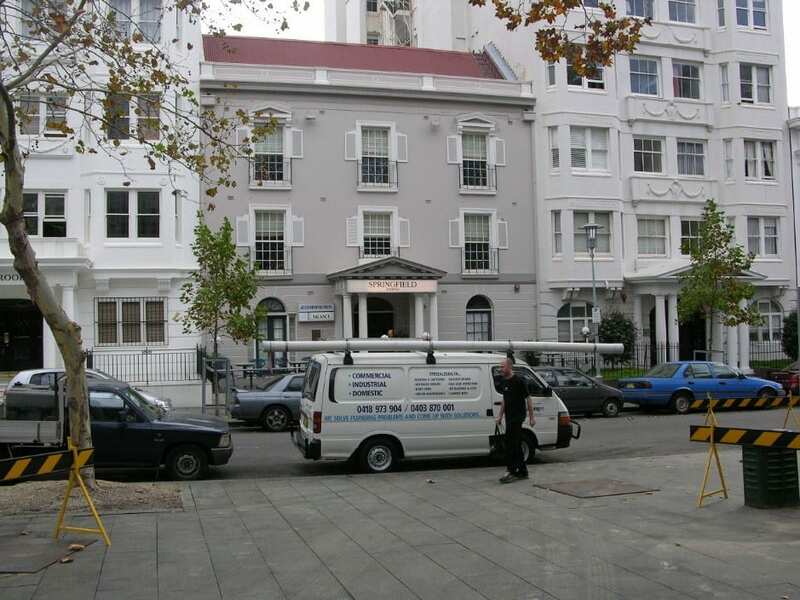 Such places make a considerable historic and aesthetic contribution, particularly as a group or representative places which may or may not be in close proximity to each other and their loss would have a fundamental and adverse effect on the cultural heritage of the precinct and the municipality’. ‘Representative heritage places of local significance which collectively contribute to the significance of the precinct. Such places are representative of the historical, scientific, aesthetic or social development of the municipality and collectively, sometimes of the region. They are visually important elements in the streetscape and provide a cohesive context which reinforces the value of the individual buildings’. • Encourage the conservation and enhancement of heritage places. • Discourage substantial or intrusive alteration of any heritage place. • Consider the impact of the proposed use and/or development upon the maintenance and conservation of the heritage place. • Ensure new buildings and works are respectful of, and not adversely affect, the significance, nature and characteristics of the surrounding area. • Ensure the bulk, scale, form and setback of any new buildings and works are responsive to existing heritage places. • Protect significant and contributory heritage places from demolition. • Encourage the maintenance and repair of heritage places, utilising traditional materials where appropriate. • Encourage appropriate restoration, alterations and additions. • Encourage the removal of inappropriate alterations, additions and works that detract from the cultural significance of the place. • Demolition approvals will not be granted until replacement buildings or works have been approved. • The derelict state of a heritage place will not, in itself, be a reason for permitting demolition. • Demolition or removal of buildings will be approved for places identified as not being significant or contributory within a precinct. • Ensure that the subdivision of heritage places does not adversely affect the heritage significance of the place. • Ensure that new development as a result of subdivision does not detract from the heritage value of the place. • Support the excision of a lot occupied by a heritage listed dwelling in rural areas where it is demonstrated that the excision will assist the retention and management of the heritage listed dwelling. • Ensure that the spatial qualities of the streetscape and immediate environs are not adversely affected. • Ensure that sufficient curtilage surrounding the heritage place is maintained to retain its significance and to protect any significant views to and from the heritage place. • Ensure that sufficient significant vegetation and the setting of a heritage place is retained. • Ensure that the visible original historic fabric remains intact. • Ensure that original parts of the heritage place to be conserved are distinguishable from the new work. • Consider the architectural integrity and context of the heritage place. • Ensure that, where possible, alterations and additions are concealed from view from the public domain. • Ensure that where it is not possible to conceal alterations and additions from view from the public domain that they are recessive, complementary and not visually dominate a heritage place, street or surrounding area in terms of size, height and bulk when viewed from the public domain. • Avoid blank walls at ground and upper floor levels when viewed from surrounding streets. • For significant and contributory places, propose upper storey additions that fall within an ‘envelope’ created by projecting a sight line from 1.6 metres above the ground level (average eye height) from a point where the footpath meets the property line directly opposite the site and taken to the line of the new roof ridge. • Ensure the consideration of the context of the heritage place or precinct when designing and siting new buildings. • Maintain the existing scale, massing, form and siting of new buildings in heritage precincts and adjacent to heritage places. • Ensure that new buildings adjacent to heritage places are sympathetic to the significance and character of the heritage place and its setting. I find that the above general conservation policies are succinct and to a certain extent, insofar as local heritage is concerned, universal. I could easily see these policies applied to any heritage assessment or statement of heritage impact. They provide clear guidance to owners, developers, managers, planners, architects and associated professionals as what to do and what not to do when it comes to altering, adding to, modifying, subdividing or undertaking infill development. I could happily see these policies becoming standard in any local environment plan.